I’m reading a novel called The Bookseller by Mark Pryor. I like it so far, but something (really trivial) about it kind of bugs me. The subtitle (shown in the above picture) says “The First Hugo Marston Novel.” Okay, I thought, that’s nice; I’m reading the first book in the Hugo Marston (whoever he is) series. Then, after reading the back cover of the book, I learned that The Bookseller is the ONLY Hugo Marston novel (so far…). Not only is The Bookseller Mark Pryor’s ONLY Hugo Marston novel (so far), it is Mark Pryor’s only novel (so far). I’m not an expert about the publishing business. I figured a guy like Mark Pryor would write a mystery/thriller like The Bookseller with a protagonist named Hugo Marston, and if the critics liked the book enough and if it sold enough copies, then Mark Pryor could write another book with Hugo Marston, and if that was successful, then a series could be made. I didn’t know previously unpublished authors could determine that their first books would be the beginning of a series. I knew guys like Stephen King or James Patterson could start a series whenever they felt like it, but I didn’t know debut authors could begin a series with their first book. I guess I have astonishing gaps in my knowledge. When I wrote my first (and so far only) e-book Having a Few and Getting Some, I did it under the assumption that only a few people would read it (and so far I’ve been correct). I never assumed it would be a series. I have no plans for a sequel (tentatively called Having a Few More and Getting Some Too). I may change my mind later, but I would never have assumed that my first book would be the first of a series. Anyway, it’s Mark Pryor’s first novel, and his main character is already getting a series. 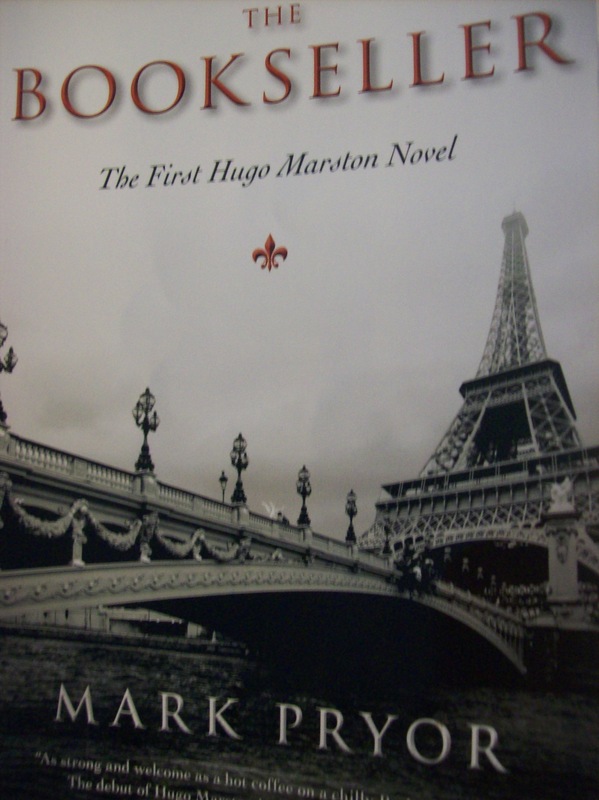 The Bookseller is a decent book, but I don’t know if Hugo Marston is series-worthy yet. That seems a bit presumptuous. First of all, it tells me that Hugo Marston will survive whatever happens to him in his first novel. A protagonist should have to be scared for at least one book. No wonder Hugo Marston acts cocky throughout the novel; he knows he gets a series. I guess Hugo Marston doesn’t have to worry until the book cover says “The Final Hugo Marston novel.” Let’s see how cocky Hugo Marston acts then. In a few months, The Crypt Thief: A Hugo Marston Novel is being released. It doesn’t say “The Final Hugo Marston Novel” or “The Last Hugo Marston Novel,” so Hugo Marston has no reason to be nervous yet. For publishers, a series = $, because you have a guaranteed readership for the subsequent books. Everybody’s looking for the next Hunger Potter and they’re willing to commit writers to multiple books to take that gamble. That’s a good point. I just figured that publishers would want to hedge their bets a little (or not be so presumptuous) with an author’s debut novel. 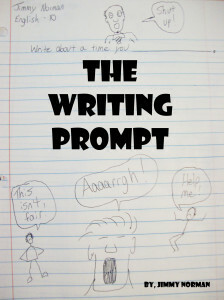 I read in one of the “how to” writing books that when you develop a star character; be careful. You might have to live with this chump for a long time. So, Hugo will probably survive in all the books, or like some I’ve read, die and then come back to life. Remember “Misery” by Stephen King? He tried to kill his main character and wound up limping for the rest of his life! I don’t think Hugo Marston is a chump, but I also don’t think anybody (except Hugo Marston and Mark Pryor) would care that much if he got killed in his book. Of course, I may turn out to be wrong. He’s optimistic. It’s cute. Or he’s cocky, and that’s obnoxious. Hmmmmm…..